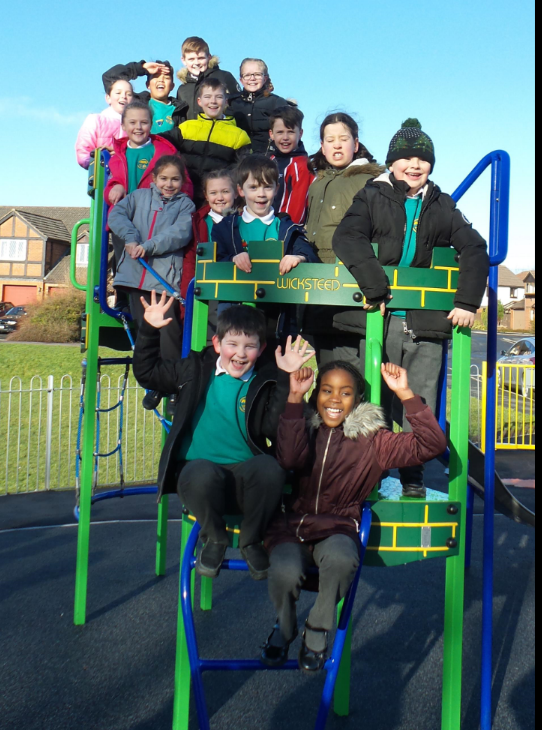 The ambition of a local residents and Heaton-with-Oxcliffe parish council to provide children of all abilities with a safe and exciting place to play was realised this week when the brand new £54K Grosvenor Park Play Area was officially opened by Imogen Hutchins and Corey McMahon-Tunnaclife, Head Girl and Boy from the nearby Grosvenor Park School. 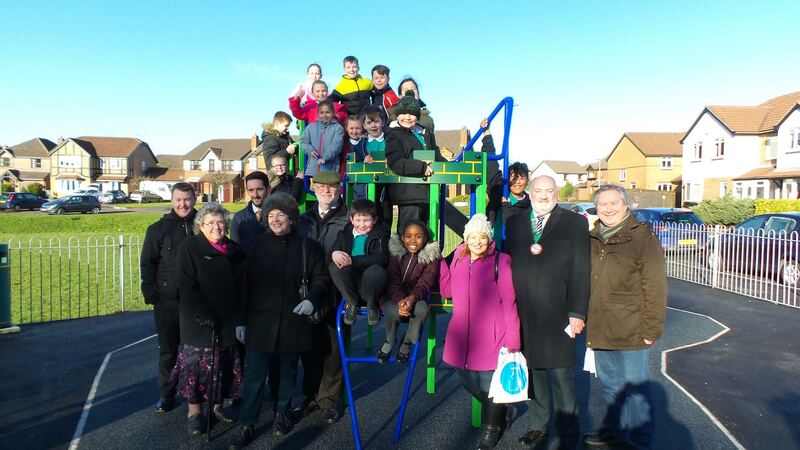 Imogen and Corey were joined by their colleagues on the school council and staff and Members from the City Council and representatives from Wicksteeds Playgrounds and our funders. The play area on Lune Drive which is owned and maintained by Lancaster City Council had become old and worn and in desperate need of a revamp. For the last 10 months, the Parish Council and local residents have been working with the City Council to develop plans and source funding for an exciting new facility which would cater for all ages up to 12 years old including those with disabilities. Wicksteeds Playgrounds were appointed to design the new play area and to build and install the equipment and the results are stunning! Works to install the exciting new facility took six weeks to complete. Attractions include Castle Galahad and Little Miss Muffet multi-play structures, a Viking swing with basket, crazy twister rotator, sit on and sit in springies and a roundabout with access for disabled users. This is complemented by woodland themed ground graphics, seating and a picnic table. The Parish Council secured funding from a variety of sources including £5,000 from Banks Heysham South Wind Farm Community Fund, £9,746 from Big Lottery Awards for All , £5,000 from the Galbraith Trust and £30,000 from the Lancashire Environment Fund, with the remainder being funded by the Parish Council.